As a rule, MMO launches are usually slightly bumpy affairs. But when H1Z1 launched yesterday, not only an MMO, but an Early Access title, it was worse than most. A day after the launch, and I’ve not managed to get into the game once. Nick, who was trying to stream it last night, managed to get in this morning, but has been getting the notorious G99 login error again since then. Not only are the folks at SOE dealing with launch issues and server problems that are affecting multiple games, but they’ve also got more than a few players demanding a refund due to in-game airdrops, paid-for supplies drops that contain ammo, guns and other items. 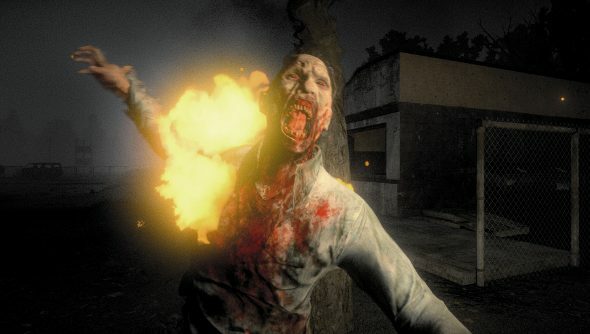 Some players reckon that makes the game pay-to-win, and have lost interest in the zombie MMO. SOE President John Smedley took to reddit to clarify what airdrops were, as well as offer refunds. Smedley likens the airdrops to server events. They can only be used when the server has reached a specific number of players, and everyone playing is told about the impending drop. Anyone can get access to it if they get there first, not just the person paying. “I’ve personally been killed many times after I paid for them myself,” writes Smedley. But there are players who feel that this still gives paying players an advantage, because guns and ammo is meant to be rare. They cite articles and an AMA from last year where the devs say that things like that wouldn’t be in the game. Smedley says that things change. Strictly speaking, however, you still can’t buy ammo or guns, since you’re only paying for the chance to get them. and you can’t get them in crates, which are not the same as airdrops. SOE will also be changing how airdrops work. The radius they can land in is being increased, the chances of finding guns will be lower, more people will need to be on the server before an airdrop can be called in, and the plane itself will be slower, giving people a better chance of getting to the landing zone. Refunds are also being offered to players who remain put off. You can request a refund from [email protected], with no questions asked. To be eligible, however, you will have needed to purchase the game before 10:30am PST today, and the offer will be off the table come Monday.